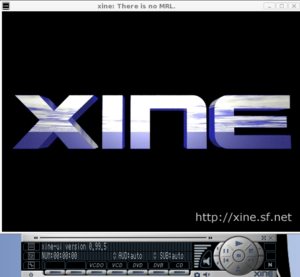 XINE is a mediaplayer for Linux. The libxine2 package (but still known as generic xine-lib) is especially affected. It is missing some plug-ins, so all xine-based players (like Kaffeine, Totem or Noatun) are also unable to play these media. More information can be found under restricted formats. It is a well known fact that one can successfully play DVDs by installing a couple of rpm packages - there is no point in hiding such information from users. Although the libxine2 version provided by SUSE does not contain any patented codecs, complete (all codecs enabled) xine packages are provided by third parties. This is particularly useful to be used in countries were software patents are not an issue. Non-official xine packages are provided, for example, by Packman as seen in additional package repositories. If you prefer you can goto the Packman website and install xine (all codecs enabled) via the one click install for openSUSE. Click here for xine with MPEG/DIVX/DVD support (Note: Packman's xine package is called libxine2-codecs, while installing it, libxine2 and libxine2-* packages from openSUSE should be automatically replaced by those from Packman). Newer xine (1.0.x [and more recent]) releases come with a full-featured DVD plugin that should be able to handle any unencrypted, non-locked DVD with full menu navigation support. - source: xine's FAQ. In order to be able to play encrypted DVDs one will also need to install the libdvdcss library. The legality of using such library is more controversial than of those patented codecs, but the VLC project is known to host it and also provides openSUSE rpms (The "libdvdcss repository" repo is also available through YaST > Software Repositories > Add > Community Repositories). This page was last modified on 28 August 2017, at 10:53. This page has been accessed 81,563 times.